Do you agree, if we were talking about some kind of a single precedent or a phenomenon, peculiar to one particular period of Byzantine history, there was no need to talk about any phenomenon at all. But the matter is that we are facing with an ordinary political and legal practice and it is the most important institution of the Byzantine statehood. The secret of this phenomenon could be quickly resolved if we assume that giving the imperial dignity to two or more people is a way of legitimizing the power, giving the royal crown from father to son. Actually, it is a well known fact that not only in the Byzantine Empire, but in Western Europe and in Russia, even after the fall of Constantinople in 1453, the rulers often crowned their sons being in power, thus gradually without hustle and bustle to bring them into power and eliminate any interference in their supreme dignity. But this hypothesis faces with the following fact which is unpleasant for itself — throughout the existence of the Roman (Byzantine) Empire the Romans did not recognize hereditary monarchy as an institution of a compulsory state. «The right of blood» was not as a basis for receiving the highest political authority both in the laws of any state and in the canons of the Church. In this regard legal custom was multimeaning and it was out of external logic. 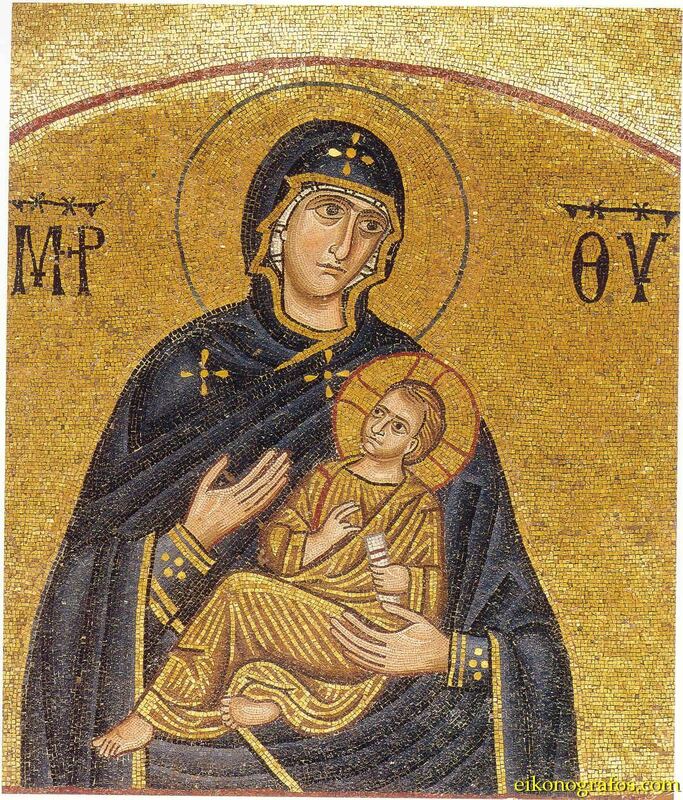 In particular, it was a well known fact that the power in Byzantium was really often given from father to son. But becoming a young heir to the throne did not mean much for the coming future. And vise versa, many future monarchs, who took power from the father’s hands, had not been crowned in advance as «emperor-duplicate». It is necessary to note that the relationship with the emperor did not mean anything, because the imperial crown often belonged to completely strange people who were extraneous to the ruling emperors, and the transfer of power frequently took place against their will, by decision of the Church, the Senate, the army and the people. Running a bit ahead, it should be said that the Byzantine «multipower» was in a variety of forms in different historical periods, it was explained with the most unexpected reasons and had not the only tactical ideological ground in its core. But at the same time as a principle it preserved for thousands of years during the existence of the Orthodox Empire. However, along with the facts of «multipower» we often notice a familiar pattern of a single ruling (in the usual sense of the word) of the Roman emperors. What is the reason for the existence of such dissimilar forms of their personal power, and why did not they shock their contemporaries, and because of what reasons were they allowed to exist as equivalent and interchangeable? In order to understand the reasons for this unusual phenomenon and to admire the ancient forms of ruling, giving us much for further reflections, we shall turn to the historical facts, as they were developed in reality. As it is known, originally since the time of formation of imperial power almost all the emperors ruled personally in the Roman state. Of course, there were some exceptions, but it happened rarely. For example, in 97 AD, the Emperor Nerva (96-98 AD) declared his co-regent the Emperor Trajan (98-117 AD) – it was the first precedent. Then the Emperor Marcus Aurelius (161-180 AD) for no apparent reason named as his co-ruler Lucius Verus (161-169 AD), giving him to rule in the East. But the main variation on the theme of «multipower» took place during the reign of the Emperor Diocletianus (284-305 AD) and it was caused by a very specific reasons. The point was that the system of government of the Roman (Byzantine) Empire at that time was far from universal, and it was the result of many year layers and political traditions of different periods. Naturally, it included many problems with which in some period of its history the Roman Empire could no longer cope. In the provinces and in Rome itself there were still local governments, municipalities which received their competence in the Republican times. It is necessary to mention senate delegates, managing the officials (praeses provinciae), chiefs of legions who were on duty in the provinces, and independent chiefs of border troops (dux limitis) among the officers who were in the provinces. It is easy to understand, they were subordinated to different bodies of the central government, what caused great difficulties. The supreme power in addition to the emperor was exercised by the Senate — a stronghold of the Roman aristocracy. But if the jurisdiction of the Senate passed a long way of its formation, the same can not be said about emperor. Princeps, as he was called originally, was thought only as an addendum to the old Republican authorities by the Romans. But time passed and the competence of emperors was extended due to other controls. Thus, they gained the following functions — a permanent supreme command, proconsul power, the right of control over all the provinces, personal integrity as a sacred person, the presidency in the Senate etc. Soon the emperor acquired the right to decide questions of war and peace, and also to make leges datae how to organize colonies, to grant individuals the status of a Roman citizen, and even to explain the laws. Hence, time passed, and the legislative authority of the Emperor was formed in the result of it as well as the right of the high criminal and civil courts. Under the Emperor Domicianus (81-96 AD) for the king’s authority recognized the right of dispensation — exemptions from one or another laws. Roman lawyers explained this action as follows every law coming from the emperor either of a private legal or of administrative nature included dispensation already. But that is not enough: because everyone thought that the Emperor performed special assignments of the whole Roman people, his powers lost the limits established before. The emperor received the right to impose veto on all orders of the magistrates, but he was not subject to veto of the Senate. Brought to life with the challenges of its time, a new political type on the tree of the Roman statehood, the imperial power strengthened day by day, gradually building up new political forms of governing of the empire. At some point it led to a certain parallelism of the old government and the new imperial institutions. Although gradually the differences between the old and the new systems of governance were disappearing, but nevertheless, certain of its prints were still noticeable for centuries. The weaker the local government and the Senate became, the greater effort to centralize the government were undertaken by the Roman monarchs. And it was not by chance in the era of the early emperors in provinces there were imperial officials with special, extremely broad powers such as: praefecti, curators and procurators. To sum up, all this power- political diversity often being in conflict with itself, found reconciliation only in the person of the Roman emperor. Frankly speaking, the ruler of the Roman Empire himself was very limited in the actual fulfillment of his powers. He either was the head of the troops in some troubled province, or had wars with the barbarians stalking in the borders of the Empire, or determined the fate of the world in a distant Rome (from the point of view of the periphery). This diverse and highly confused system of control and was given to Diocletianus when he came to power. An old soldier and an experienced administrator, the new emperor knew that alone he was no longer able to control the Roman Empire in the limits within which it was at the end of the IIIrd century. With his practical mind he quickly understood the basic problem of managing the Roman state: in case of any hazards that occurred more often in provinces (revolt of the local population, attacks of the barbarians etc. ), the local rulers simply could not cope with the range of problems they had to face with. Only direct presence of the person with the highest status there who could if necessary use all the power in full volume rise above the other officials and instantly subdue all available government forces that could be a panacea for the troubles threatening the Empire. The solution of this difficult problem was highly unexpected and at the same time very efficient. Not to go to Rome every time it was necessary with a problem, where the Senate had meetings and where the head of state was with his government, Diocletianus gave “its” own emperor to each of the four prefectures. So instead of one of the Roman Empire there were four co-rulers, each of them implemented the highest state power in «his» province. Two of them were Augusts, and two — Caesars. Figuratively speaking, the central government went down to the average citizens, but it retained its highest status. What an amazing combination of regional self-government and strict centralization! The difference in names of co-rulers was not occasional, although it almost had no affect on their competence in their own regions. The essence of the relationship between Augusts and Caesars was determined by the following formula: «Duo sint in republica maiores, qui summam rerum teneant, duo minores, qui sint adjuvamento» (“ two should be senior in the State who have full power, the two younger ones, help them”). As Diocletianus thought, after a while Augusts had to go into retirement according to their own will, and their places would be taken by the Caesars. In this context, Caesars were some kind of “students” of Augusts: they had to get experience from their elder colleagues, the successors of which they would be afterwards. This principle of continuity of power meant a new set of Caesars after castling co-rulers, and it could last forever. In the consequence, the management of the provinces gained the necessary operational features, which had been absent earlier during excessive localization of the government in Rome. There is no doubt that tetrachy did not imply the division of the supreme power, it remained unified and indivisible, and it simply remained on its four co-rulers who were directly elected. Although each of the emperors represented the supreme power in his province, it would be very wrong to suppose that their status was regional. Just the other way round, these four rulers, collectively possessed the highest state authority, were recognized by all Roman people as a single powerful person. It is remarkable that the laws made in the name of imperial power, were signed by all holders of the highest title. But the imperial edicts on management, which did not have all empire significance, but which were in effect only within some specific prefectures and provinces were signed the Caesar or the August of this province. As you can see, the first experience of creating Byzantine «multipower» was quite successful and understandable. In addition, as all the citizens understood, it did not ruin the foundations of personal power of the Roman kings. In this connection, it is easy to understand why this form dominated in the Roman Empire for a long time, every time giving birth to another batch of emperors «duplicates». The founder of the Orthodox Holy Roman Empire was not a stranger for it as well, Flavius Constantinus (306-337 AD), only due to certain circumstances he remained the only ruler after inner fight and he won over his rivals and co-rulers Macencium (305-312 AD) Licinian (308-325 AD) and Maximin Daia (305-313 AD). Since 330 AD, i.e. the date of foundation of Constantinople, the Roman Empire acquired two centers of political power, two capitals. What, however, did not affect the fundamental principle of single rule — its «multipower.» Emperors Constantinus II (337-340 AD), Constans I (337-350 AD) and Constantius (337-361 AD), became equal kings of the Roman Empire although they broke the Diocletian law of tetrachy after the death of their saint father. Later on, vicissitudes of politics (the death of both brothers) again led to single rule of the Emperor Constantius. But in 351 AD, the king gave the title of Caesar to his cousin Gallus, giving him to control Antioch. After the latter’s death in 354 AD (Gallus tried to seize the power and he was executed) he appointed his other cousin as Caesar, the future Roman Emperor Iulianus (361-363 AD), announcing him to be the ruler of the western provinces. It is hardly possible to imagine that Constantius tried to provide continuity of the power, giving powers of Caesars to his relatives. There are clear evidences to the fact that, not trusting to his younger cousin, Constantius was about to execute him. But he was not able to have to simultaneous wars: against the Persians in the East and the Germans in the West. And that is why the emperor sent a ruler almost of the same status to the western provinces. Although the difference between Caesar and August was insignificant and it was rather age factor, later the power became universal. There was no need in Caesars and during the century both parts of the Roman Empire received two kings with equal status, though with some innovations which altered the form of «multipower.» For example, the Emperor Valentinianus I (364-375 AD) appointed his brother Emperor Valens (364-378 AD) as the ruler of the eastern provinces, having kept an unspoken superiority as «senior» emperor. However, having a desire to be on the safe side from the soldier’s self-will, he appointed his son Gratianus (367-383 AD) as his co-regent and the second emperor of the Western Roman Empire with equal status, that was very good for normal political life. It was Gratian who after the death of Valentinianus I and the death of Valens in the Battle near Adrianople, appointed Flavius Theodosius as the Eastern Emperor ( 379-395 AD), dividing power in the West with his younger brother Valentinianus II (375-392 AD), who was required to be the Emperor by the Army. 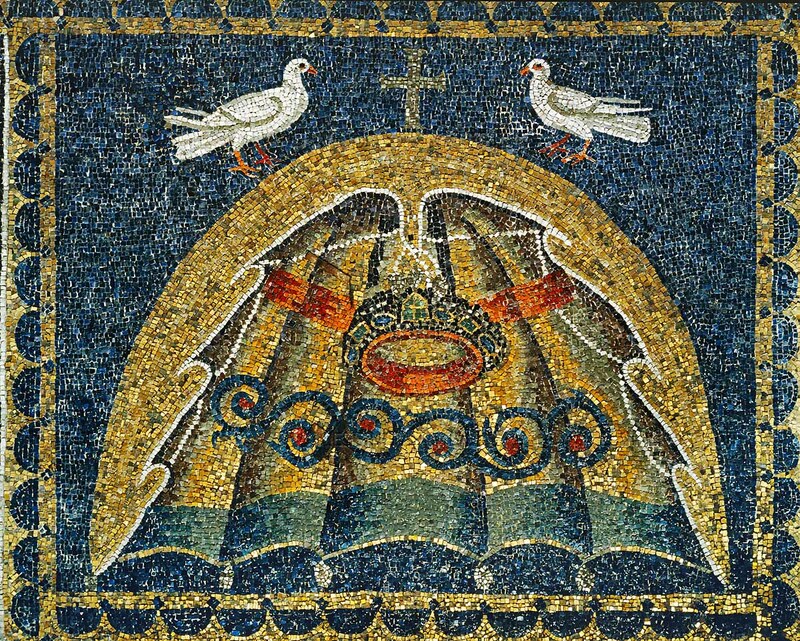 It is remarkable that even at this stage of the Byzantine «multipower» formation to appoint the second emperor, who was completely unable to govern the country due to his age, was determined not politically but ethically. It was absolutely clear that only with this word it was possible to describe the desire of the Western army to honor the memory of the late Emperor Valentinianus I, who had a little son from his second marriage, and in this way to equalize the brothers in the dynastic rights. In his turn, the death of the young co-rulers forced Flavuis Theodosius, who had temporary focused the whole imperial power in his hands, to divide it between his sons, Arkadius ( 394-408 AD) and Flavius Honorius ( 395-423 AD), giving the eastern part of the Empire to the first on, and the western part to the second one. Later, the term “Caesar” was still used, but it ceased to be independent, strongly going into the category of honorary titles, which along with the main status titles was given to a distinguished person. Since the end of the IVth century legitimate rulers of the Roman Empire were called only kings, emperors, basils. Very often they added «Caesar» to the rank and titles, indicating all the power concentrated in their hands, its absolute inevitability. For example, the Emperor Flavius Iustinianus (527-565 AD), signed his documents as follows: «The Emperor Caesar Flavius ​​Iustinianus, Alemanian, Gothic, Frankish, Upper German, Alanian, Vandal, African, pious, happy, nice, successful and triumphant, permanent August.» A century later, the Emperor Iustinianus II Rhinotmetos (685-695 AD, 705-711 AD) called himself “Ceasar” as well: “The Emperor Caesar Flavius ​​Iustinianus, the faithful to Jesus Christ, the peacemaker, the pious, permanent August”. This principle of “easified tetrachy” when each part of the Roman Empire had its own emperor, was followed until the end of the Vth century. After Arcadius and Flavius Honorius, Flavius Theodosius Junior (408-450 AD) ruled the East, and the West was ruled by Valentinianus III (425-455AD), who was assigned by him. Along with it, as we see in the dynasty examples of Valentinianus and Flavius Theodosius, the idea of ​​a hereditary monarchy was formed. In those cases, of course, when the heir existed. But when there was no heir, the emperor was appointed as «a senior» king either by the army, or by the Senate and the Church, and he ruled in a different part of the world. Such examples are the following: Flavius Marcianus (450-457 AD), Flavius Leo (457-474 AD), Zeno (474-475 AD, 476-491 AD), Basiliskus (475-476 AD). Either the power was inherited or the emperors were chosen by the army and the Senate – it made ​​no difference for the principle used in practice: «Every part of the Roman Empire with its emperor.» However, due to the weakness of the state Western kings Maiorianus (457-461 AD), Libius Severus (461-465 AD), Olybrius (472 AD) Glycerius (473-474 AD) and Romulus Augustus (475-476 AD) began to play a minor role in comparison with the emperors, who settled in Constantinople. “A certain” reduction of powers, however, the political ones (but not legal ones!) was due to the fact that the Western emperors greatly depended on the Roman Senate and the barbarians, who played a significant role in their appointment to the throne. However, after Italy was captured by the Ostrogothic king Flavius Theodoricus (470-526 AD) in 493 AD, this tradition stopped its existence — because the West ceased to belong to the descendants of the Roman emperors. Italy and the western provinces were plunged into the darkness of the barbarian conquest and the control system of Diocletianus ceased its existence both in the West and in the East. Along with it, as it sometimes seemed and the Byzantine “multipower” disappeared forever. At various times there were figures of the emperors, who not only ruled alone (without taking into consideration their wives who usually took an active part in ruling the Empire), but they did not even bother to have a heir to the throne afterwards. It did not matter that they often had no children, who could inherit the imperial crown, or ask the senate and the army for the heir – such cases also happened. For Byzantium to appoint a stranger as a successor even if there were children and relatives, it was not something extraordinary, nothing to say about the described situation. Nevertheless, the emperors Flavius Leo I, Zeno and Anastasius I Dicorus (491-518 AD) did not share the power with anybody. Only in the last days of his life the aged Emperor Iustinus I (518-527 AD) put the royal crown on the head of his nephew, Flavius Iustinianus (527-565 AD). Although, he had been helping his uncle to rule the country for years by that time. Iustinus II (565 — 574 AD), being about to die, honored a brilliant military commander Tiberius (574-582 AD) having given him a high title. But it was not a title of August, but a title of Caesar — again a meteor trace of Diocletianus tetrarchy occurred; Tiberius became the Emperor a bit later. Similar situations took place afterwards as well. Being sick, Emperor Isaac I Komnenos (1057-1059 AD) gave his power to Constantin X Doukas (1059-1067 AD), but before it he had ruled alone. And in 681 Constantine IV Pogonatos (668-685 AD) even ordered to cut off the noses of his siblings Heraclius and Tiberius, thus he gave them no chance to join the royal power, although their father Constans II (641-668 AD) made them his successors. According to the chronicler, the reason for this ugly deed was the fact that a part of the aristocracy and driven by it people of Constantinople demanded Constantine IV to share sovereignty with the brothers, and he strongly reiterated his absolute rule. 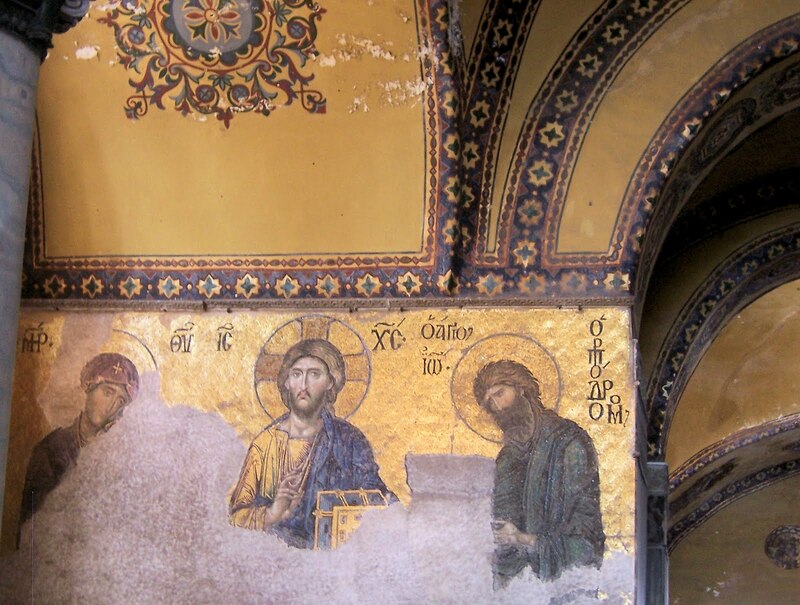 Both the years of prosperity and the decline of the Byzantine state were held under the single rule. The emperors Alexios I Komnenos (1081-1118 AD), John II Komnenos (1118-1143 AD), Manuel I Komnenos (1143-1180 AD), Theodore I Laskaris (1204-1222 AD), John III Doukas Vatatzes (1222-1254 AD), Theodore II Laskaris (1254-1258AD), Manuel Palaiologos (1391-1425AD), John VIII Palaiologos (1425-1448 AD) , Constantine XI Palaiologos (1448-1453 AD) were the only kings during the years of their reign. To some extent, this situation is understandable: the territory of the Byzantine Empire (or within the period from 1204 till 1261 it was the territory of the Empire of Nicaea) was already very small, and the second emperor was not necessary – when the Emperors were so powerful and charismatic figures as the ruling kings of that period. But, of course, this hypothesis is far from universal, and with its help, for example, it is impossible to explain single ruling of the emperors of Komnenid dynasty who returned Muslim territories which had been occupied to the Empire. However, it was time to remember about the Diocletianus formula, but it did not happen, taking into consideration that in the midst of constant battles when kings fought for years against the Turks, being out of the capital all these years. To give a royal title to other people when the Emperor had a single power such kind of situations took place, but it practically meant nothing in the political sphere. For example, on 18th November, 473 AD, the emperor Flavius Leo I crowned his grandson Leo II Junior ( 473-474 AD). But this step had an aim to share the ruling with an equivalent co-regent: because the new king of Rome was only 6 years old. On 26th March 590 AD, the Emperor Flavius Mauricius (582-602 AD) also crowned his son, a 3- year-old Theodosius, as co-ruler of the kingdom whose name as the king was not mentioned in the official documents. Was he an unfortunate prince (or was he still the king?) who gave brilliant hopes to the Roman people, he died shortly after his father’s death from the hands of the usurper Flavius Phocas (602-610 AD) , he failed to become a «real» emperor. However, the idea of ​​“multipower” was not forgotten, suddenly appearing in new forms and bringing to life in the most diverse motives that had nothing in common with an old Diocletianus «administrative» motivation. And, as before, the accession of two or more emperors (and empresses) occurred not because of some ideological doctrine or because of the law, but as an optimal challenge caused by time. In particular, multipower proved to be a very convenient form for time procrastination to select a new Roman emperor, if there were some competitors, and the Byzantines themselves could not give preference to any of them. The first situation appeared during the reign of the Emperor Flavius Heraclius (610-640 AD). Gradually at different times his children born from different marriages were crowned. However, there was a very unusual situation: the first emperor gave a royal title not to his son, but to his one-year-old daughter Epiphania, who on 04th October, 612 AD, was crowned as the queen of the kingdom — however, without any political consequences. Only on 25th December 612 AD Flavius Constantinus the New (641 AD) was crowned, his father put the royal crown on his head himself. Unlike another kings, Heraclius immediately began to include the name of Flavius Constantinus III in state documents, clearly demonstrating that he had an equal co-ruler for himself. And it turned out to be a very timely thing. For nearly 30 years, Flavius Heraclius was occupied with the war against Persia, which he brilliantly finished. It was natural that at this time he was rarely in Constantinople. And almost all these years, Flavius Constantinus III the New ruled the Empire. Moreover, he ruled not only «civilly», but in a military way as well — his son Flavius Heraclius had a number of outstanding victories over the Avars in summer 626 AD at the walls of Constantinople. Afterwards the Roman rulers were more sensible, striving to crown their sons at a very young age in order to avoid any political turmoil. 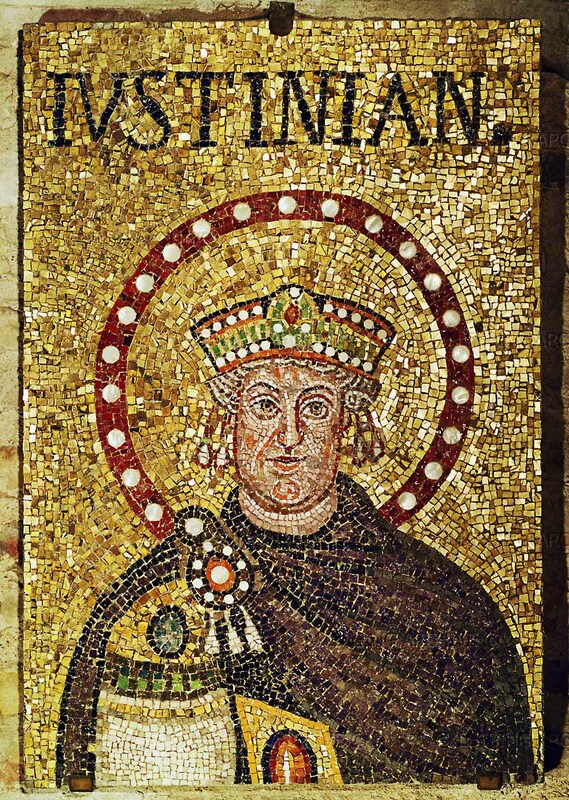 In August 654 AD, Constans II (641-668 AD) gave the title of August (the Emperor) to his two year old son, Constantine IV. Having passed through the internal disturbances and palace coups, the Emperor Leo III the Isaurian (717-741 AD) crowned his one-year-old son in 719 AD, the future Emperor Constantine V (741-775AD). In his turn, he also used the idea of ​​“multipower” to provide the rights for the Isaurian dynasty. On 25th January, 750 AD from the marriage with the Empress Irene he had a son, Leo IV the Khazar (750-780 AD), whom he proclaimed to be the Emperor of the Roman Empire. And from his third marriage with a Byzantian aristocrat Eudocia, whom he gave a title of August in 769 AD, five sons were born: Nikephoros, Christopher, Nikita, Anthimus and Yevdokimus. But in this case, Constantine V did not share the power, he only gave a title » Caesar» to each of his younger sons, again the atavism of the Diocletian doctrine was used. In his turn, in 776 AD Leo IV the Khazar crowned his son Constantine VI (780-797 AD). Exactly this fact solved the situation in favor of a young king and his mother Empress St. Irene (797-802 AD), when after the death of Leo IV the Khazar a serious struggle for power took place. In those times «multipower» did not play the last role and it was not just nominal. Constantine V actively assisted to his father, Emperor Leo III in the wars against the Arabs and he led the troops in many battles. And the Emperor Theophilus (829-842AD), being quite young, took an active part in armed clashes during the rebels of Thomas the Slav. Michael IX Palaiologos (1295-1320) was a co-ruler with his father Andronikos II Palaiologos (1282-1328), though he did not rule successfully. In his turn, the father of Andronikos II, Michael VIII Palaiologos (1261-1282) authorized his son to sign the imperial decrees after having crowned him. He even gave the king’s scepter — a symbol of power to his son. Exactly in this period a tradition to crown young heirs became civil. Nicephorus I Genikos ( 802-811 AD), appointed son Staurikios (811 AD) as Emperor, Michael Rangabe I (811-813AD) crowned his first son Theophylact, Leo V the Armenian (813-820AD) tried to preserve the rights for power of his son — Simvatius Constantine. Michael II (820-829AD) and his successor Theophilus did the same. In October 1066 Constantine X Doukas, being about to die, ordered the crown his three young sons – Michael, Constantine and Andronicus, they became co-rulers. Moreover, his wife, the Empress Eudoxia (1067) retained the status of August under the condition that she would be widow until she died. And after Eudoxia married for the second time, and raised her second husband Romanos IV Diogenus (1068-1071) to the throne, there was an unusual form of «multipower» – a queen mother, a step-father king and the young Emperor, the son of Constantine X, Michael VII Parapinakes (1071-1078). The other crowned princes, brothers of Parapinakes, were removed from power. When there were no heirs (kings can also have no children), the emperors sometimes «adopted» their quite capable favorites, elevating them to the royal dignity. 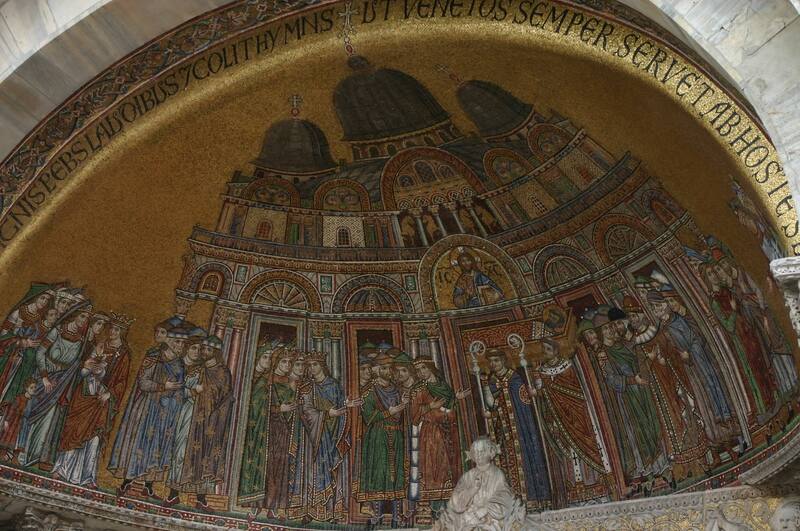 Thus, the Emperor Michael III (842-867 AD), crowned Basil I Macedonian (867-886 AD) as his co-ruler on 26th May, 866. During the period of the Macedonian, multipower was a successful and extremely popular form of ruling, it was supported by people. Exactly when multipower took place there were situations when the heir to the throne either was too young and therefore he required an adult guardian to the royal dignity, or there were no male heirs at all, and then women princesses “adopted” men or married them, giving the royal title to them. Romanos Lekapenos I (919-944 AD) was crowned by the aristocracy and the army as a co-ruler of a young son of Leo VI the Wise (886-912 AD), Emperor Constantine VII Porphyrogenitus (913-959 AD). Although, while coronation Lekapenos promised to provide and not to pretend for the rights of the young co-regent but soon he wanted to create his own dynasty. And for that, besides Constantine VII he crowned his sons Christopher, Stephen and Constantine, his grandson Michael (son of Christopher) as well as his stepdaughters Anna and Helena, as equal queens. One more fact makes this situation complete: on the other hand the direct successor of the Macedonian dynasty hastened as well to crown his son Romanos II (959-963 AD), who together with the spouse of Constantine VII Empress Helena, completed the list of royal members. But when time came, the ungrateful sons of Romanos I sent him to the monastery and at the same time they immediately lost their own royal dignity, and Constantine VII began to rule independently. Though this «multipower » was exciting , but it saved the Byzantine Empire, if we take into account the Bulgarian threat that Lekapenos succeeded to neutralize. Afterwards two emperors Flavius Nikephoros Phokas (963-969 AD) and John I Tzimiskes (969-976 AD) ruled together with young princes Basil II Macedonian (976-1025) and Constantine VIII (1025-1028), crowned by their father, Romanos II even in 960 AD. After their death, two royal brothers had come the age by that time and they began to rule independently. And although in reality all the power was in the hands of Basil II — his brother had almost no interest in the affairs of the state, in spite of the fact both of them were basils with equal rights. Romanos III Argyros (1028-1034), Michael Paphlagonian IV (1034-1041) and Michael V Kalaphates (1041-1042) entered the throne and left it one by one, together with the sisters Empresses Zoe (1042-1050) and Theodora (1042-1056). And finally, the sisters began to rule the country with Constantine IX Monomachos (1042-1055) . And after the death of Empress Zoe, her sister nominally married to Michael BringasVI (1056-1057), remaining his co-ruler. Whatever is said about the «multipower» descendants of the Byzantine Empire it is easy to understand that in fact this palace chaos turned out to be the only way to ensure political stability and continuity of the power. Or at least of it, it is a chance to give it to a more worthy person, whom the Roman Empire was badly needed. The son of Empress Maria of Alania, young Constantine Doukas was a co-ruler with Alexios I Komnenos (1081-1118), until he died from the disease. And it is hardly necessary to say that in this time «multipower» was a good solution: everybody knows how much Alexios did for the Roman Empire. After the death of Manuel Komnenos, his wife Maria and his 12 -year-old son Alexios II (1180-1183) were alone; as a result, the state was in a mess, which the weak woman was hardly able to solve. Then, according to the request of the aristocracy and the Church, Andronicus I Komnenos (1183-1185) became the second Emperor, who usurped the throne and soon he murdered a minor Emperor. Consequently, he did not rule for a long time, but if the regicide had not occurred, this alliance would have been rather fruitful. Some alternative for the deed of Andronicus I was an example of Michael VIII Palaiologos (1261-1282), who succeeded to get the title of Emperor, ruling together with a young Emperor John IV Laskaris (1258-1261), and then he pulled him away from the power (but he did not kill him!). Perhaps it was the only case where «multipower» could lead to troubles if it continued to exist. And the deed of Palaiologos was a forced one. Later the Emperor Andronikos II Megas (1282-1328) was a co-ruler with his son Michael IX Palaiologos (1295-1320), and after his death with his grandson Andronikos III (1328-1341). But perhaps the greatest adventures were for the son of Andronikos III, Emperor John V Palaiologos (1341-1391). At certain moments he shared his power with a great number of Basileuses: John Kantakouzenos VI (1347-1354), Andronikos IV Palaiologos (1376-1379) and John VII Palaiologos (1390). However, it is necessary to take into consideration that in addition to these, his mother Empress Anna of Savoy, recognized as a co-ruler to her son in 1341, the wife of John V Palaiologos and his wife Elena Kantakouzenos, as well as Irene Kantakouzenos, spouse of John VI, the number of emperors were impressive. Once the Emperor had even an idea to crown his son, Matthew, but the father refused from it wisely. As we saw, «multipower» pursued not one, but several purposes like many other phenomena from the history of Byzantium. To be exact, having appeared as a practical institution without any theoretical ideas, it was used in countless situations, thus proving how necessary and universal it was. In some cases, «multipower» helped to make the government stable and to cut off the intentions of the competitors for the throne. In other ways- it was like sedative means for the home political life of the Byzantine Empire. But under the other circumstances it simply allowed to settle a political intrigue and, if necessary, to select the best from different competitors, recognizing even some of them as the best ones. The Byzantines reasonably believed that » a bad peace is better than a good quarrel» and hoping for the mercy of God , they set aside the solution of the question relying on his will. There are some natural questions, including this one: why «multipower» as a phenomenon did not exist during the whole period of the pagan Roman Empire but it did in the Orthodox Byzantium? In fact, the answer is quite simple. For the Romans of the early Roman Empire period, the question of «multipower» was not actual, because as it was stated above, from the point of view of the Roman law, the power of the Emperor was considered to be extraordinary, and only gradually the tsars joined the authorities of the Republican bodies. Therefore, to have two or more emperors became absurd. The exception was the Diocletianus «tetrarchy», but it was based on «administrative » motif. Byzantium is quite a different thing, where the idea of imperial power was formed and made perfect. Not later than during the ruling of Flavius Iustinianus the thought that all the bodies, establishments, and officials of the Roman Empire, including even the hierarchy were given their general and administrative, legislative and judicial powers only by the Emperor, as a source of power and law. It was a brilliant ecclesiastical imperial pyramid with a Basileus as a head of it, a vicar of Christ on the Earth, a spiritual leader and a guarantor of justice in the Roman state. He is not always a specific holder of the royal title who corresponded to his highest title- for a truly believing soul which is tired of power and which understands how responsible he is before God, the power is always a difficult task to have. And that is why the Byzantines did not see anything wrong and strange in the fact that the burden of imperial power was shared between the king and somebody else, and of course the status of the Emperor would remain united and undivided. To understand the phenomenon of «multipower» for us is a bit difficult not because it is impossible to find its modern analogue nowadays, which you can see in reality and examine. And not because «multipower» is absurd and ridiculous itself – a great number of samples from the Byzantine history prove us different things. But only because of the reason that our consciousness ceased to be organic: we can easily divide, but we are able to integrate the phenomena with great difficulties – it is the first sign of apostolicity of the modern world. The current democratic sense of justice tends to limit the power, because it lost the ability to feel its divine nature, it is afraid of the power. Modern man knows that he is «good» and therefore he is puzzled why there should be someone who holds back his desire and his need for «self-realization». And they believe the supreme power (and any other power as well) can seem less active, it must be split and facet. 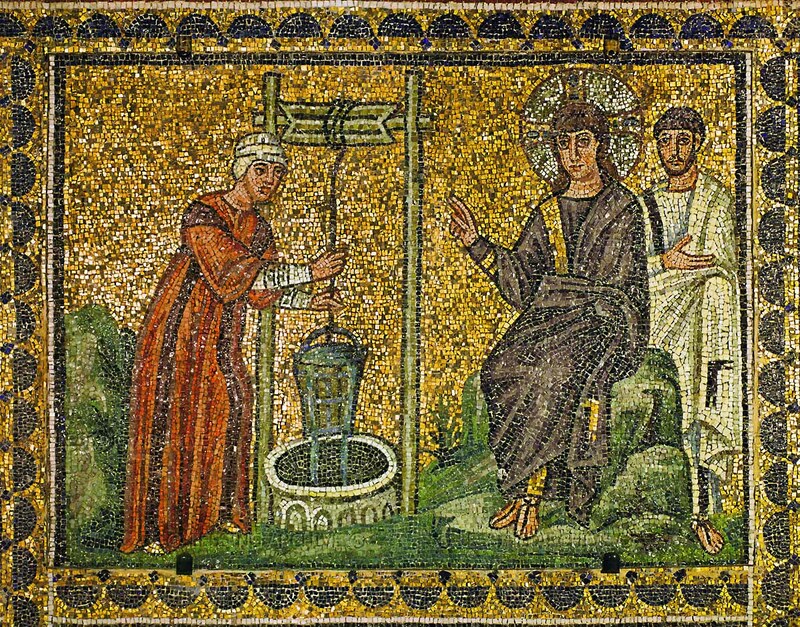 On the contrary, «an average» Byzantine knew he was — a sinner; «every man was a lie.» And he easily accepted the idea that there should be external, God-given, and God sanctified force that could control his private sinful nature and selfishness of other people. Roman Emperor could be a high center of Christian power who was able to limit subjective intentions, tearing the society and the Church itself. It was he who had been predetermined by God to save the universe, he received special gifts from Christ, such as Charisma, in order to cope with his passions and to be sensible in everything. For the Byzantine power was consecrated by God, it was sacred. Поклонники форм, византийцы, тем не менее, легко расставались со старыми образами и шли на невиданные политические комбинации, чтобы сохранить божественную гармонию мира и обеспечить (или восстановить) справедливость. В тех же случаях, когда во главе римского народа оказывались легендарные личности, спасители отечества, полнокровные и неутомимые властители, потребность в помощи сама собой отпадала, и цари правили единовластно. 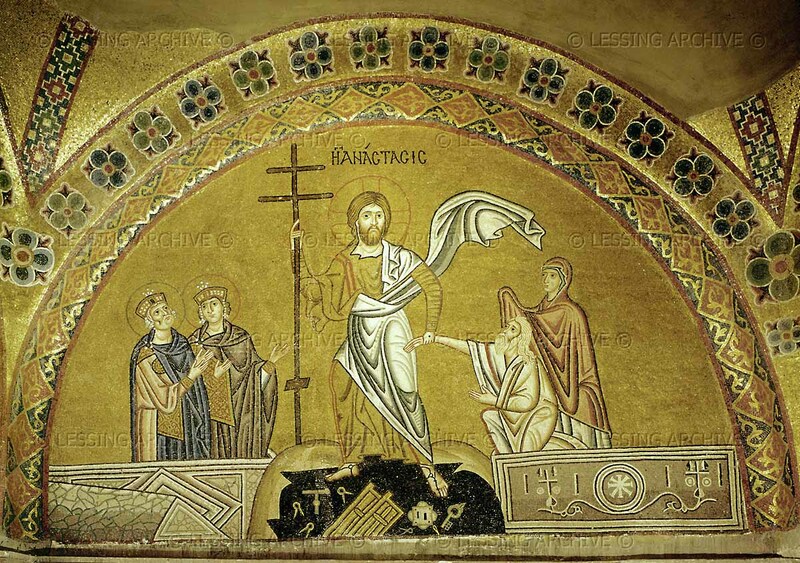 Therefore, the Byzantines exaggerated the dignity of a person with great desire, adding it to the merits of the other to depict the all-saving idea of the royal power in a very complete and meaningful way and to provide common welfare for the Christian people, i.e. for the Church. 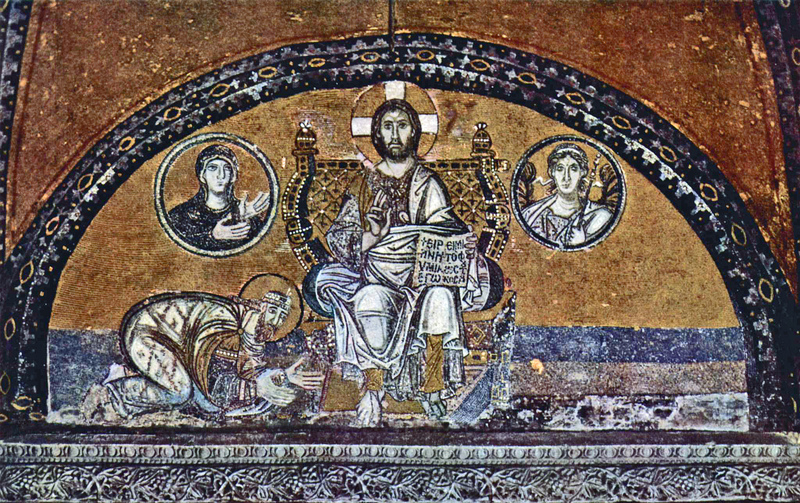 Being fans of forms, the Byzantines easily parted with old images and agreed for unprecedented political combinations to save divine harmony of the world and to support justice in the world. In those cases when the head of the Roman Empire was a legendary figure, a savior of the fatherland, a full-blooded and tireless ruler, there was no need in help and kings ruled autocratically. Of course, it is hardly possible to talk about restoration of the Byzantine «multipower» in the contemporary political reality. But the old scenes of a different political life are results of work of believers with Christian consciousness; they are brilliant landmarks for us in our own way along the roads of history.